The new desktop site is much cleaner and easier to navigate than before. The reduced clutter is more appealing to the eye. This new look was created to encourage more user-based engagement. You no longer have to go into the email-like structured messages tab to send a message. Whether you’re scrolling down your newsfeed or editing your profile, you are now able to chat instantaneously. This new setup allows you to stay connected without compromising what you’re doing. Similar to the Facebook chat feature, the chat box shows up in a pop-up window on the bottom right-hand side of the screen. For those looking for a new job, this is a feature you are going to like. The “Open Candidates” feature allows you the opportunity to share things like your career goals, roles you are interested in, and more. This information is then shared with recruiters who will be able to easily find you with possible opportunities that match your experiences and interests. All you have to do is go to the LinkedIn Jobs page and press “Update Career Interests” displayed at the top of the page. Then you can switch the “Let Recruiters Know You’re Open” option on or off. To go with the cleaner, de-cluttered look, your newsfeed offers you a variety of organic, sponsored, and native content thanks to new and improved algorithms. Trending Storylines have also been introduced, which are daily-curated pieces about the top developing stories in your industry. In an effort to get users to stay on the site longer than to update profiles and accept connection requests, more content is being offered. 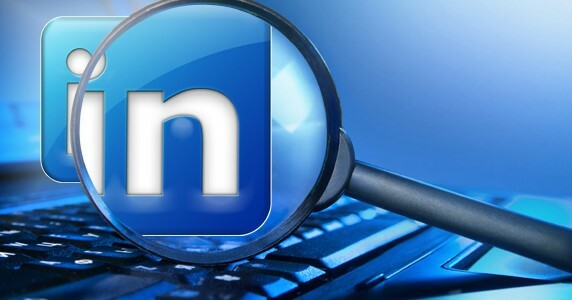 Overall, your LinkedIn experience is expected to be more engaging, which allows for more opportunities to connect and engage with others in your industry. You can now search for jobs, groups, companies, and posts more easily by utilizing the universal search bar displayed at the top of each page. Also, be sure to utilize “People Filters” which allows you to conduct more comprehensive searches by filtering people through different categories: connections, company and by location. And lastly, stay connected with your network in the Notifications tab where you can view work anniversaries, birthdays, new positions, profile views, and more, all in one place.